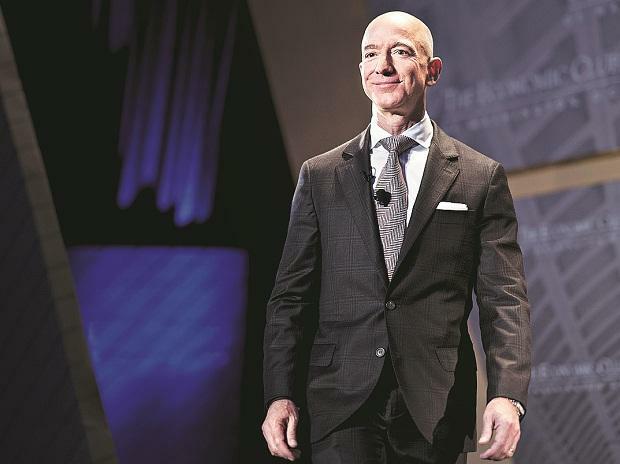 In the past two days alone, the biography of the world’s richest man has taken more plot twists than a M Night Shyamalan flick and includes a superstar cast complete with President Donald Trump and a cameo by political sensation Alexandria Ocasio-Cortez. New York Govenor Andrew Cuomo and city mayor Bill de Blasio both celebrated Amazon’s decision to invest $2.5 billion in the city and hire 25,000 people over the next two decades. But several local politicians who were shut out of the negotiations have criticised tax breaks offered to Amazon, questioning the company’s anti-union stance and worrying about low- and middle-income residents getting squeezed out by rent hikes as highly paid tech workers move in. The news, later confirmed by Bloomberg, shows how Bezos has become a prime target of populist politicians highlighting growing wealth disparity. The idea of tax breaks benefiting the world’s wealthiest man have taken on a life of their own. And the suggestion that Amazon’s response to public scrutiny is to threaten to move its project elsewhere isn’t sitting well.